Batteries and Chargers sold separately (See Related Items below for options). The M18 FUEL Mud Mixer with 180° handle is the industry’s first dedicated cordless solution that delivers the performance and durability to fully replace corded mixers. With the M18 REDLITHIUM battery the user can mix up to 15, five gallon buckets on one 5.0Ah battery. The 180° adjustable handle is designed to allow every user to optimize the handle position for their comfort. 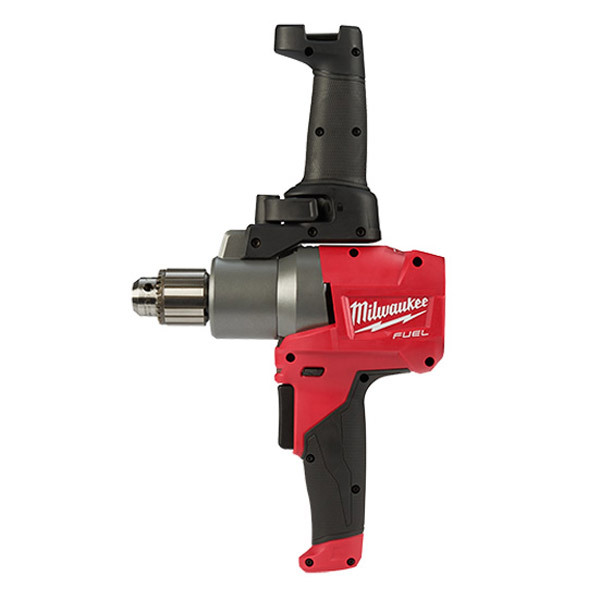 This Milwaukee cordless solution increases productivity by eliminating the need for cords and allows the user to mix the material at the workspace where it is being applied. This tool is capable of mixing heavy substances like mortar and concrete thanks to the POWERSTATE brushless motor, while the variable speed control ensure the user always has the right setting to mix the materials required for a job.